Find all Hearthstone Deck Of Cards Pack 1 Code stores to buy Hearthstone Deck Of Cards Pack 1 at the best price. Save time and money: Compare CD KEY Stores. Activate the Hearthstone Deck Of Cards Pack 1 on Battle.net to download the game and play in multiplayer. You can participate to these tests by adding comments about your digital download purchase in the store review page. 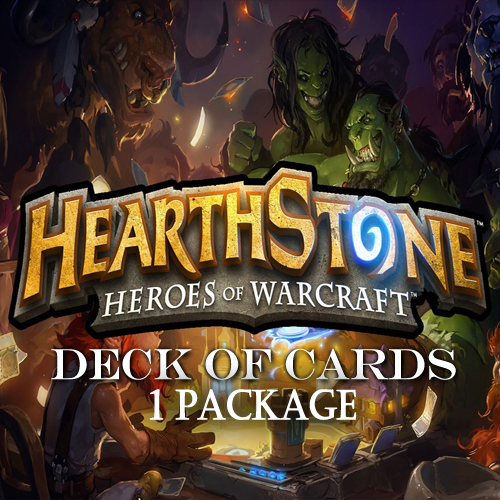 Enjoy the best deal for Hearthstone Deck Of Cards Pack 1 with Allkeyshop ! There are 3 offers ranging from 0.53€ to 1€. GAMECARD BY MAIL : You will receive your Gamecard code by email. To use it, you must login on your client account and enter the key code to add Hearthstone Heroes Of Warcraft Deck Of Cards DLC 1 Package. Depending of the countries restrictions for certain games (usually Eu or Us version), please make you sure you are buying the gamecard for the correct country.